A crypto exchange is an online platform where you can exchange cryptocurrencies for other cryptocurrencies or for other types of assets, such as fiat money. There are four main types of crypto exchanges: traditional, cryptocurrency broker, direct trading platform and cryptocurrency funds. Crypto exchanges can be market makers that either take buy/sell spreads as commissions for the service they provide or charge a fee for it. In this article, you will read about the different crypto exchanges there are, their availability and what you can do on them. Which Are the Largest Exchanges? Some of the largest and most popular bitcoin exchanges currently operating are Coinbase/Coinbase Pro (GDAX), Bitfinex, Binance and Kraken. These are the top crypto exchanges in the world that operate in many countries around the globe. They have a large user base, which means there are usually more buyers and sellers. Coinbase. This a San Francisco based company and is probably the best BTC exchange for people who are just getting started in the cryptocurrency trade. 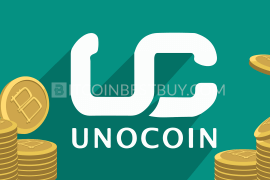 This is a place where you can buy and sell several coins using USD. Once you get familiar with this exchange, it is recommended that you move on to Coinbase Pro (GDAX) for more serious trading. Coinbase Pro (GDAX). This is related to Coinbase, as it was created by this company. 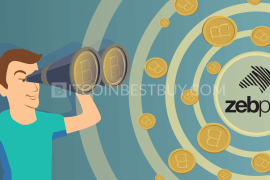 It has somewhat limited choices as to what altcoins can be traded, although it does allow to trade US dollars and euros, as well as the British pound, for bitcoin. It is a good choice if you want to trade cryptocurrencies, and they give you information on their website, such as a price and rate chart and open orders. Bitfinex. This is one of the most popular crypto exchanges, based in the US, with large supply rate of over $1.8 billion worth of daily trade It is also the largest USD to BTC exchange currently in the market. 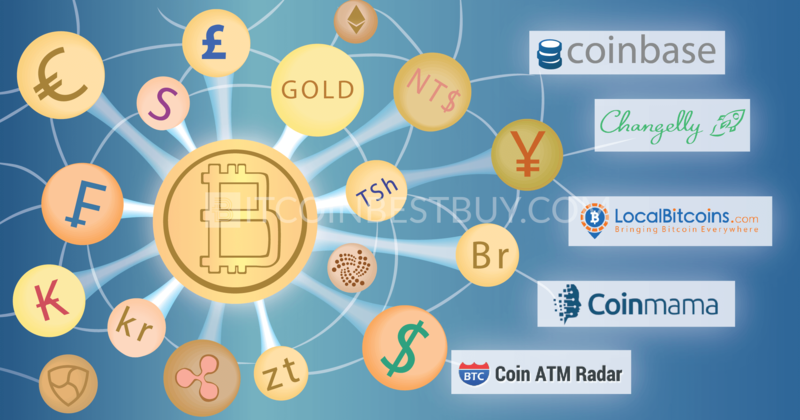 The site offers many other altcoins, apart from bitcoin while bank transfers are the only way to fund your account with fiat money. 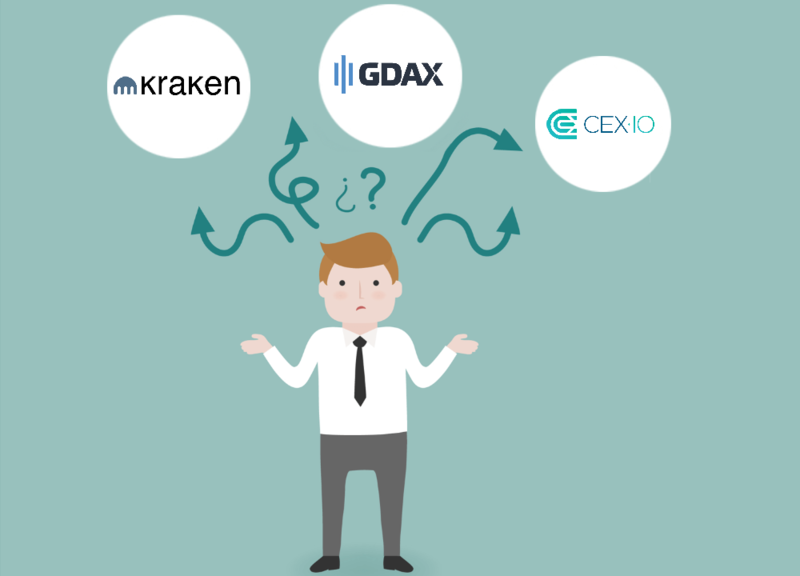 Kraken offers much the same services as above mentioned platforms, though its specialty is EUR trade and margin trading functions. The company has been operating for a while now since 2011 to be exact and has established itself as one of the largest global players in the industry. Where to Buy Not Only Bitcoins? Some exchanges have a lot of options with regard to what currencies they will trade in. Let’s take a look at some of them. Coinbase will let you buy and trade with Ethereum, Litecoin, bitcoin and Bitcoin Cash. It is available in over 33 countries. The same goes for Coinbase Pro (GDAX), which is run by Coinbase. 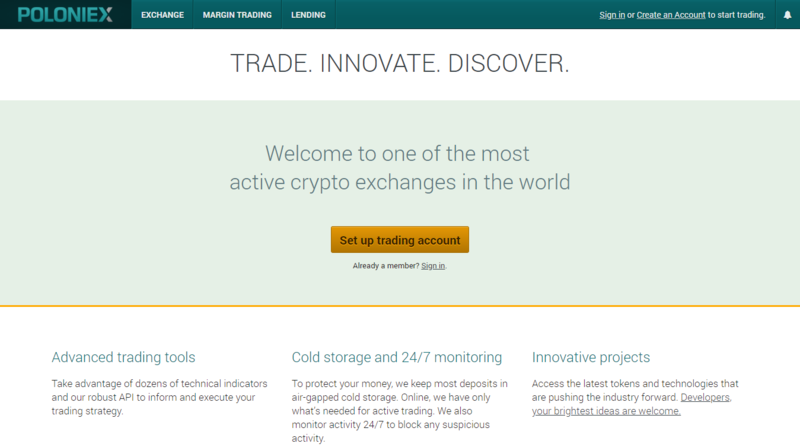 Poloniex is a US-based exchange but it also operates in Europe. This exchange focuses on altcoins and supports bitcoin, Litecoin, Ethereum, Monero and over 80 other altcoins. 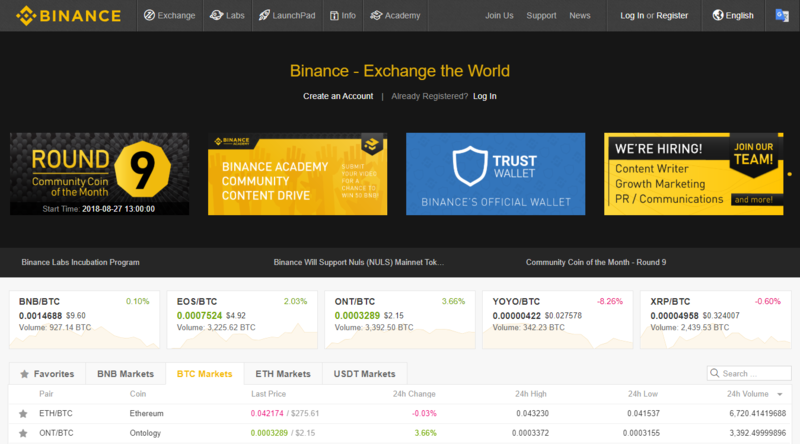 Binance has trading available in bitcoin, Ripple, Tether, Ethereum, Verge, Tron, NEO, 0x, Dash, Binance coin and over 80 others. BitMEX.com has availability for bitcoin, Bitcoin Cash, Cardano, Ethereum, Litecoin and Ripple. 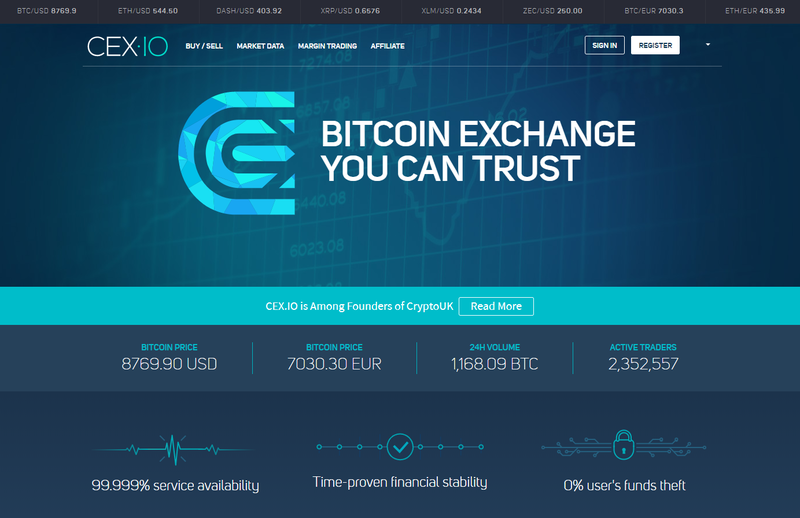 CEX.IO has support for buying and selling in bitcoin, Dash, Ethereum, Ripple and Zcash. 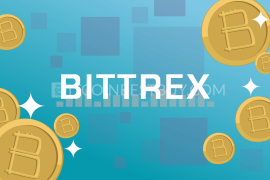 Bittrex allows trading in several cryptocurrencies, like bitcoin, Ethereum, Bitcoin Cash, NEO, OmiseGO, Dash, Nexium, Siacoin and Zcash. It is also available globally. What Are the Most Secured and Trusted Bitcoin Brokers? When dealing with cryptocurrency, there is always the question of security, no matter what platform or exchange you are using. No one single exchange can be said to be completely secure, and there have been many hacks in the last few years. For this reason, it is not recommended keeping your cryptocurrency on exchanges, but to transfer them to a safe wallet when you are not trading. 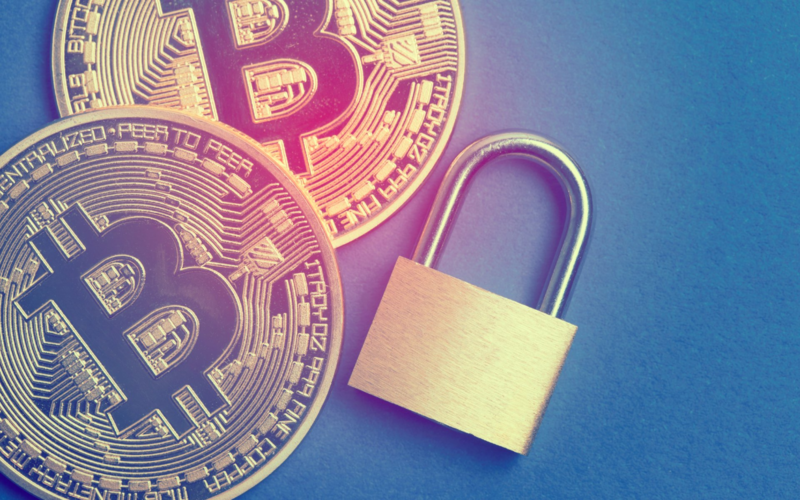 That being said, some popular and widely used bitcoin exchanges, such as Coinbase Pro (GDAX) and Coinbase mentioned above, do have some security features that you can enable. These include two-factor authentication and the requirement for a strong password. Additionally, these exchanges are even insured, so you can feel a little safer should anything happen on their end. Which Bitcoin Exchange Has the Lowest Fees? Within most bitcoin exchanges, transactions done entirely in cryptocurrency are normally free of charge. Another type of transactions, such as bank wire transfers and credit card top-ups do usually have a fee. Another common type of fee is the trading fee, which most of the time is between 0.1% and 0.25% of the transaction, but can sometimes be up to 1%. CEX.IO is probably the exchange that has the lowest fees when it comes to credit card deposits, with 3.5%, and withdrawals, with 1.2% while bank deposits are conducted for free. Coinbase charges $10 for incoming wire transfer deposits, and withdrawal stands at 25 US dollars. The fee for credit card deposit is 3.99% and the trade fee is 1.49%. Coinbase Pro (GDAX) has a standard fee between 0.10% and 0.30%, with credit card and bank withdrawal fees equal to those of Coinbase. Binance has one of the lowest trading fees right now in comparison to the others, only 0.1%, and this can get even lower if you use the Binance coin. Which Are Private to Use? Several bitcoin exchanges let you use their services without having to verify your identity. All you need is an email and a password and you can start trading right away. The advantage of this is that you can avoid providing any personal information to exchange, such as name, address, date of birth, or a copy of your ID, and you do not have to wait for that information to be validated. On the other hand, some exchanges have limits in the trade volume and withdrawals for unverified users. 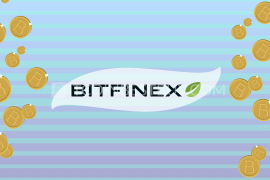 BitMEX.com, which does not require verification and has no limits for unverified accounts. LakeBTC.com, which allows unverified cryptocurrencies with no trading limits. Livecoin.net, which requires verification on their site only if you want to use bank transfers. No verification is required otherwise. Bitsquare, who likewise require no personal or sensitive information. All you need to do is download and install their software and you can start trading. LocalBitcoins and Paxful both offer similar services and are quite private to use if you find willing sellers. Being P2P platforms, it is important to note that unverified accounts tend to be risky in terms of coin and money transfer. What Exchanges Offer Global Services? P2P platforms like LocalBitcoins, Paxful and Bitcoin.de all offer their services worldwide, depending only on sellers and buyers’ locations. What Platform Offers Most Fiat Currencies and Payment Methods? Not all bitcoin exchanges are able, or willing, to let you use any payment method or currency. Credit card payments, for instance, are not always accepted because credit card transactions can be contested and reversed by the user, so they tend to be avoided. Some exchanges do accept them, though. While some exchanges prefer trading in altcoin, some will also let you use several fiat currencies. 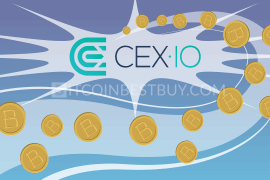 CEX.IO has a good selection of fiat currencies and payment options, including US dollar, euro, British pound, Russian ruble. Plus, as mentioned above, their fees are reasonable. It also accepts credit card deposit and withdrawal (Visa and MasterCard), and bank deposit and withdrawal (SWIFT and SEPA). Coinbase accepts payments in US dollar, euro and British pound, as well as debit card payments, and bank transfers. Coinbase Pro (GDAX) is aimed towards more experienced altcoin traders, and it accepts US dollars, euros and British pounds. Same day wire bank transfers are available, too. As we have seen, there are several different types of bitcoin exchanges. Some of them offer a wider array of services and options, while others are geared towards more experienced users or traders who are interested in large-amount transactions. It would be difficult to say what the best exchange is, if there is even such a thing. Some of them are not available worldwide but are popular in certain regions of the world. The fees that users are charged for doing business in these exchanges also vary greatly from one to another. If you are considering trading bitcoin, then it is recommended that you take a look for yourself at what exchanges are available for you, to see which is the one that best fits your needs. We made a list of exchanges per country that you should check out. Make sure to bookmark this page (hold Ctrl and press D or ⌘ Command + D) for future reference. Cubits incl. excluding + 19 Currencies Multi-purpose platform to buy, store, and exchange bitcoin. Great merchant tools. High fees. Fast KYC process. Quickbt CAD Canadian safe and trusted bitcoin exchange. Pay instantly using your INTERAC debit card or 3K+ cash payment options. On December 10, 2018, QuickBT stopped its service. Bitcoin.co.id IDR The biggest bitcoin exchange in Indonesia (also check out artaBit and tuker.in). On March 14, 2018, Bitcoin.co.id, an Indonesian BTC marketplace, was renamed to Indodax. 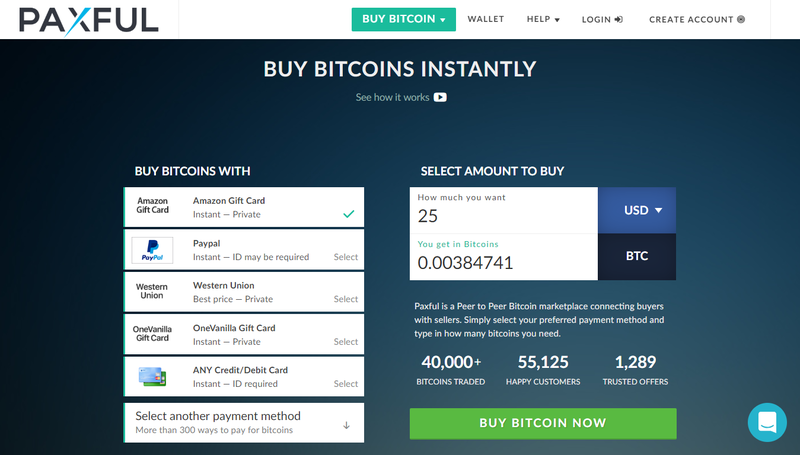 Urdubit PKR The easiest way to buy bitcoins in Pakistan. Urdubit exchange has been shut down due to State Bank of Pakistan prohibition. 247Exchange incl. All currencies Fair prices and good reputation but verification process takes some time. Cashila European Ƀ payment gateway and bitcoin-to-euro conversion service. Cashila is focusing on B2B services only. As of 1st of June 2017, the broker Cashila stopped its operations, and it no longer offers its services for traders. Buysomebitcoins incl. 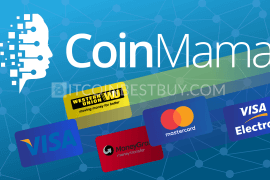 Gift Cards Buy BTC with credit card instantly. Credit/debit and gift cards accepted. No ID verification required. The exchange BuySomeBitcoins has been acquired by SIFR ltd. The website currently doesn't work. WEX (ex BTC-E) excl. PaySafe, PerfectMoney WEX (ex BTC-E) is one of the oldest bitcoin exchange in the world. On the 28th of July 2017, US authorities seized the btc-e.com domain name. Should you have questions regarding this “top 100 exchanges” article, feel free to drop a comment to us at BitcoinBestBuy, so we can improve it in the future. 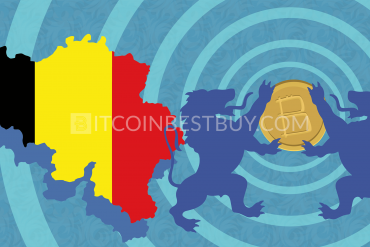 Where to Buy Bitcoin in Belgium?